Different regions in the human brain functionally connect with each other forming a brain functional network, and the time evolution of functional connectivity between different brain regions exhibits complex nonlinear dynamics. 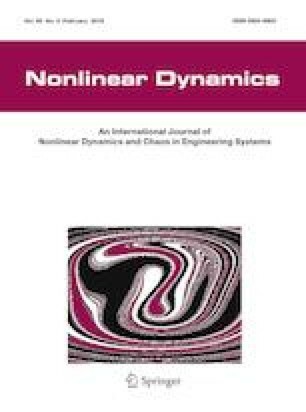 This study intends to characterize the nonlinear properties of dynamic functional connectivity and to explore how schizophrenia influences such nonlinear properties. The dynamic functional connectivity is constructed by analyzing resting-state functional magnetic resonance imaging data, and its nonlinear properties are characterized by sample entropy (SampEn), with larger SampEn values corresponding to more complexity. To identify the influence of schizophrenia on SampEn, the difference in SampEn between patients with schizophrenia and healthy controls is analyzed at different levels of the brain. It is shown that the patients exhibit significantly higher SampEn at different levels of the brain, and such phenomenon is mainly caused by a significantly higher SampEn in the visual cortex of the patients. Furthermore, it is also shown that SampEn of the visual cortex is significantly and positively correlated with the illness duration or the symptom severity scores. Because the visual cortex is implicated in the visual information processing, these results can shed light on abnormal visual functions of patients with schizophrenia, and also are consistent with the notion that the nonlinearity underlies the irregularity in psychotic symptoms of schizophrenia. This study extends the application of nonlinear dynamics in brain sciences and suggests that nonlinear properties are effective biomarkers in characterizing the brain functional networks of patients with brain diseases. This work was sponsored by the National Natural Science Foundation of China (Grant Numbers: 11802086, 11872276, and 11572225) and the Key Project of Higher Learning Institution of Henan (Grant Number: 19A110014).